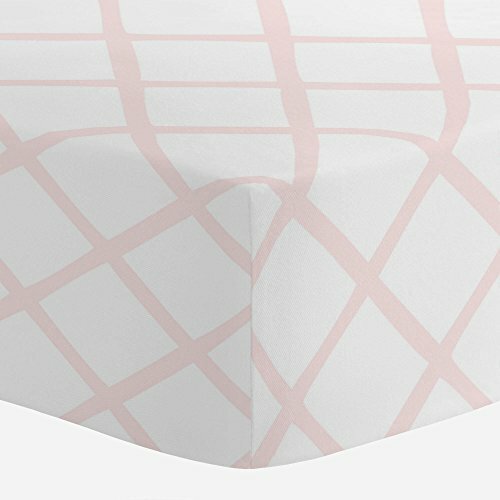 Crib sheet in Blush Pink Trellis. Our fitted crib sheets feature deep pockets and have elastic all the way around the edges to hug mattresses securely. Fits standard crib mattresses, measuring approximately 28" x 52".